A few weeks ago a co-worker at my full time job asked me about possibly doing photos when he proposed to his girlfriend. As soon as I was asked I knew a huge life event like this was something I wanted to be a part of and be able to document for them. After a couple discussions he decided to disguise the photo shoot at his house as a way to document their dating anniversary. I arrived and we did some family photos of the two of them, their German Shepard and cat. Then we moved into the dining room where I knew he had the ring stashed behind the bar. After a few quick poses I had Angela turn her back to Dan, he got the ring and on to his knee. Once she turned around I tried to just blend into the background and document this incredible moment. Of course she said "Yes!" It was a great experience and I couldn't be happier for the two of them! Thank you for letting me be a part of your big night! When Kaleigh and Andrew reached out to me to schedule their upcoming engagement session, it was a no-brainer where we would go. 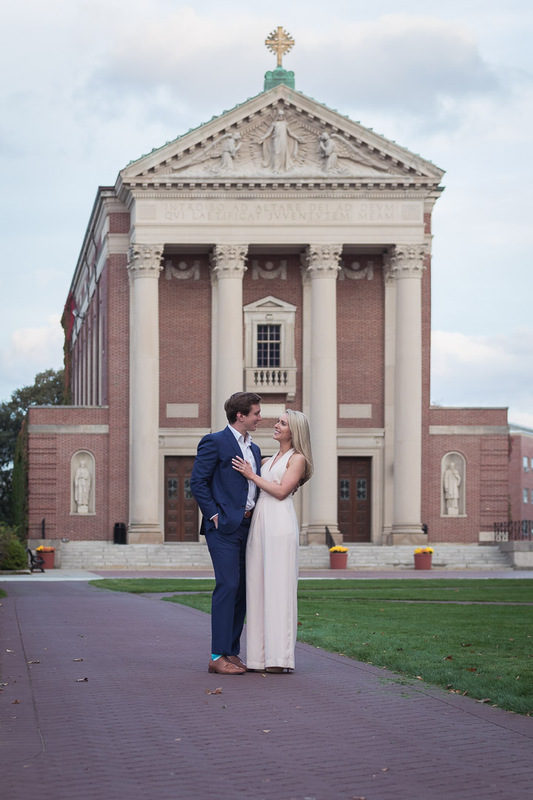 I mean, what better location than College of the Holy Cross in Worcester, the exact place where they first met? 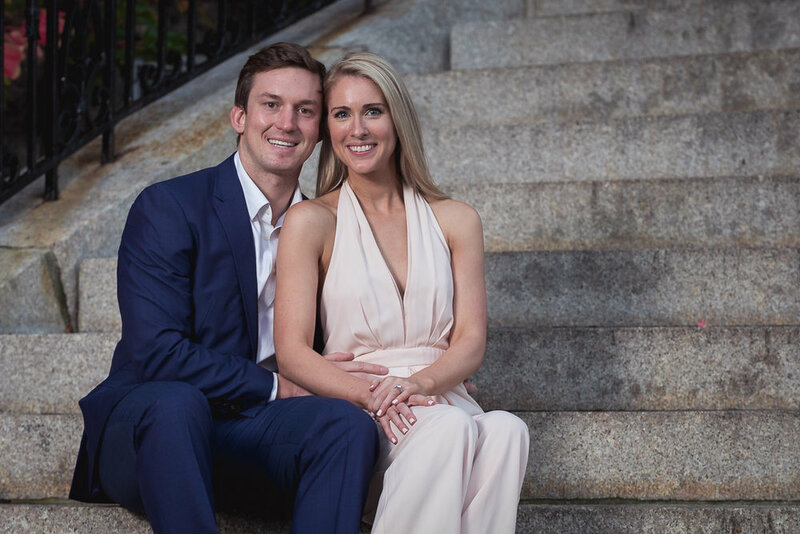 Kaleigh and Andrew first met while attending College of the Holy Cross their freshman year. It took a couple years but they started dating and have now decided they are going to spend the rest of their lives together. I think my favorite part about this shoot was when they both told their story to a group of girls who are currently attending the college. 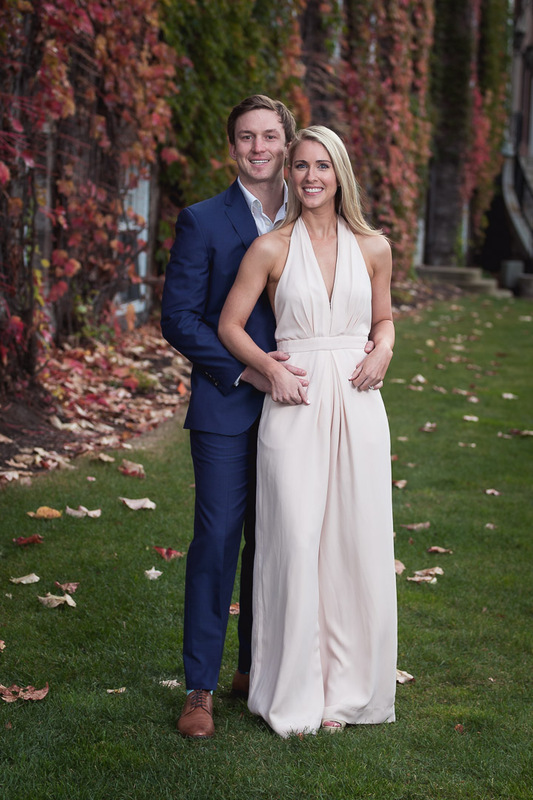 It was evident on both of Kaleigh and Andrews faces how in love and excited they were to be starting the process to move on to the next stage in their lives. These two will be getting married soon, and I cannot wait to hear all the details about how their wedding day goes. Good luck on all the planning and thanks for letting me be a part of this journey toward your marriage!